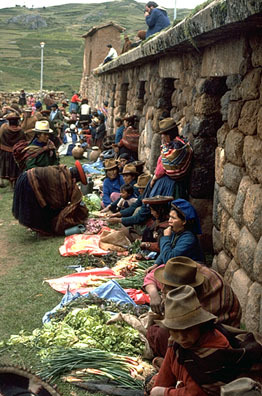 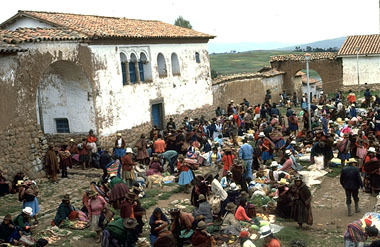 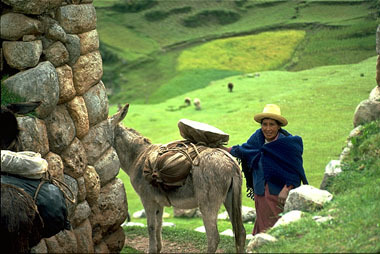 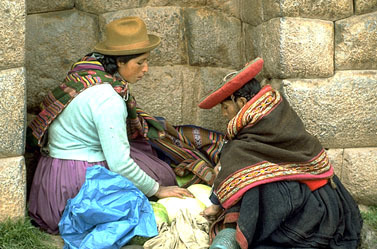 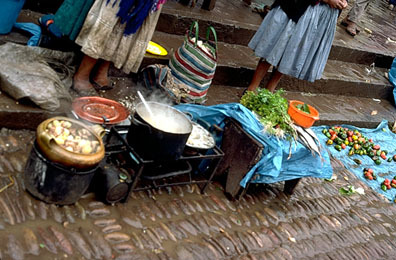 People come from the valley (l000 or more feet lower) to the high village of Chinchero in order to trade valley foods (vegetables and fruits) for mountain foods (potatoes and grains). 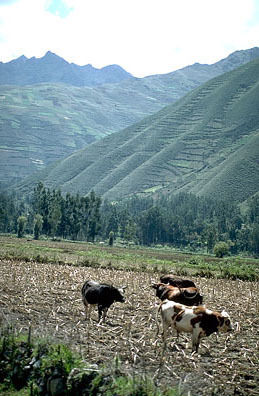 Chinchero is located at such a high altitude (over l2,000 feet) that families like Nilda’s cannot grow corn, lettuce, tomatoes, or most other fruits and vegetables. 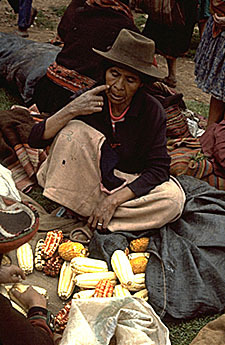 But Chinchero is famous for raising high altitude crops: grains (like quinoa or barley), and tubers (potatoes of many kinds and colors).